After Jones Day, the highest-paid firm identified in Monday’s filing was one that had not previously appeared in Trump's campaign finance reports: Mintz, Levin, Cohn, Ferris, Glovsky and Popeo. 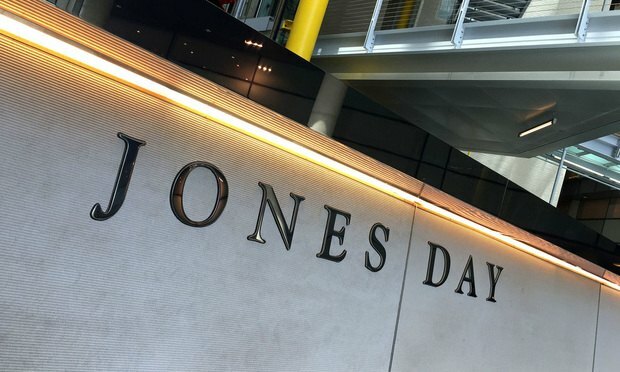 With 2020 drawing near, the Trump campaign’s spending at its go-to law firm, Jones Day, rose sharply in the three months ending Sept. 30, climbing to about $1.3 million. The amount eclipsed the more than $525,000 the firm received in the previous six months, according to new disclosures filed late Monday with the Federal Election Commission. “I remind the government particularly that, ‘counsel for the government has an interest only in the law being observed, not in victory or defeat in any particular litigation,’” a U.S. Labor Department judge wrote in a new ruling in the agency's long-running case against Oracle. The National Labor Relations Board has received thousands of comments on its proposal to embrace a new business-friendly standard for defining joint-employer relations. Here's what some big U.S. firms said on behalf of clients and practice groups. At least 10 federal lawsuit claim Ohio National Life Insurance and its affiliates terminated contracts and stopped paying commissions to thousands of broker-dealers who sold its variable annuities.